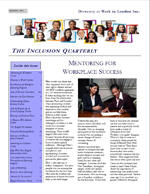 By: Evelina Silveira, President, Diversity At Work in London Inc. Excellent communication skills are paramount to navigating through challenging situations in and out of the workplace. For most people, they do not come easily and must be learned. If you are a non-native English speaker who has been through the local public educational system to take your English classes, there is a good chance that you did not spend much time learning good pronunciation. For whatever reason, teaching ESL speakers how to pronounce well has not been a priority. Quite often however, the students will come away with reasonably good writing and conversation skills, but are misunderstood. It is hard to understand why a New Canadian is in ESL classes for 3 to 5 years and continues to make the same pronunciation errors that they made when they first arrived. The reality is, is that very little time gets devoted to teaching pronunciation in the classroom, but also within the Teaching English As A Second Language curriculum. Furthermore, the classroom can be too large to allow for individual coaching. If a New Canadian spends some time outside the ESL classroom, independently studying , they can improve their pronunciation considerably. However, as people get settled more here and the demands of work and family take precedence, it is easy to see how developing good pronunciation can take less of a priority. Frequently, I will be contacted by persons who feel they need some improvement with their pronunciation as well as employers who seek to support their ESL employee. For those inquiring about lessons for themselves, they often feel embarrassed asking their employer to share the cost, believing it is too much to ask for. My contention is that pronunciation and elocution lessons are just another form of professional development that helps employees enhance their communication skills. 1) If you find within the hiring process that the candidate could use some extra help, ask them if they would be ready to take some classes that you as an employer would be prepared to cover the costs. 2) During the performance appraisal, offer the employee some pronunciation classes. It is important that you emphasize the employee’s value to the organization and you want them to feel more confident in the work that they do, as well as have the same opportunities for advancement as the rest of the staff. 3) Alternatively, if your organization is one that circulates professional development opportunities and asks employees to register their interest, make sure that you include pronunciation classes. I would classify these under the same category as you would for other professional development that involves improving your communication, such as: public speaking; how to chair a meeting;, and assertiveness training. The key is to normalize offering and asking for support for pronunciation as much as possible. 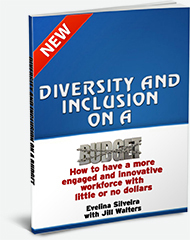 As our workplaces become increasingly diverse, it will be more challenging to make everyone feel included. Being competent and feeling confident about your communication skills reduces micro inequities in the workplace and builds a greater sense of inclusion when handled in a supportive way. Wise instructors do include pronunciation in the overall classroom experience and there are many great resources both on and off-line. The challenge is often self-monitoring by a learners once ‘on their own.’ They may acquire the proper pronunciation within a set boundary and at a classroom pace but find that once in the workplace both the pace and the scope of their language demands vary from a classroom setting. Employers would definitely benefit from investing in a specialized language training component to on-the-job training. The research I have come across though does challenge the misconception about who should teach such a course stating that a second (or subsequent) language learner shows no detriment from instruction by a Non-native speaker (NNS). This is interesting to me and has given me more confidence to continue to use group exercises-with other NNSs-which focus on pronunciation. An added benefit is that learners must (as we all must) acquire an ear for the ‘calliphony’ our Canadian workplace has become. I firmly believe that the only way to tackle pronunciation is with individual classes, it certainly helped me.